The Illinois Attorney General’s office has obtained a signed agreement from a proponent for a controversial autism "cure," promising not to promote her treatment in Illinois. Last month, NBC 5 Investigates reported on the controversial treatment promoted by former Chicagoan Kerri Rivera. Rivera, who now resides in Mexico, advocates a protocol involving a strict diet and a chemical called chlorine dioxide, sometimes marketed as "Miracle Mineral Solution," or MMS. Chemists say chlorine dioxide is, in reality, a powerful bleach with no known medicinal benefits. "I would say it would be extremely dangerous to ingest this," said Dr. Karl Scheidt, a chemistry professor at Northwestern University. "Much less a child." But chlorine dioxide, or "CD" as she calls it, has long been the cornerstone of Rivera’s treatment. "Autism is treatable," she said in an interview with NBC5 Investigates. "It’s avoidable. And I believe it’s curable." Rivera claims the chlorine dioxide treatments help to purge autistic children of pathogens and parasites. But medical experts argue it has zero benefits, with the potential for great harm. "We don’t have a single case of autism that is linked to a virus or a type of germ or parasite," said the University of Chicago’s Dr. Karan Radwan. "I feel terrified about a procedure like this which could harm many kids." After NBC 5 aired its report in May, the Illinois Attorney General’s office took notice. 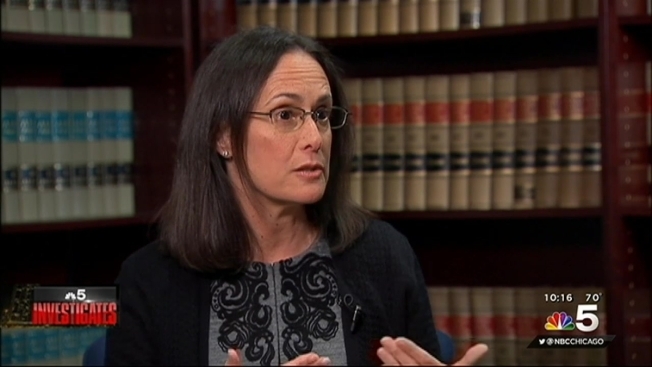 "I’m very thankful that NBC 5 actually brought this to our attention," said Illinois Attorney General Lisa Madigan. "Because clearly, you have a situation where there are people, complete quacks, that are out there promoting a very dangerous chemical being given to young children." Madigan’s office dispatched investigators to a Rivera appearance at a suburban Chicago hotel in late May. After her seminar, they served her with a subpoena, demanding that she substantiate the claims she had made of her protocol’s effectiveness in treating autistic children. Madigan’s office said Rivera entered into what is known as an assurance of voluntary compliance, where she agrees not to conduct future seminars in Illinois. In that agreement, the Attorney General’s office argues that Rivera "makes unsubstantiated health and medical claims," and that she "lacks competent and reliable scientific evidence to support her claims that chlorine dioxide can treat autism." As part of the agreement, signed by Rivera, she agrees to no longer present at seminars and conferences or sell any products in the State of Illinois. A Madigan spokesman told NBC 5 Investigates it is the Attorney General’s opinion that that promise includes a ban on conducting paid online consultations, which Rivera offers on her website. Neither Rivera nor her attorney would comment on the agreement. But Madigan called treatments such as the one Rivera had been advocating, "terrible scams." "If there was a cure for autism, you could be able to go to a reputable hospital, a reputable doctor, and they would tell you about it," she said. "But if what you are relying on are complete and total quacks, that’s not going to be legitimate."